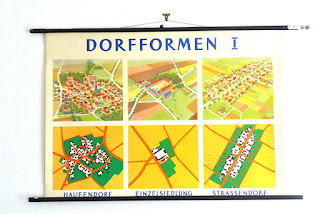 By virtue of geography, our village is a linear settlement, running along a ribbon of road that transverses the valley and bordered by the pastures and the baronial wood—which itself has been preserved in deference to much later political developments and the partition of Germany. There is a clear centre (not always the case) around the ensemble of buildings that form the chapel, castle and keep—in keeping with the original sense of village, the support-structure for a villa. 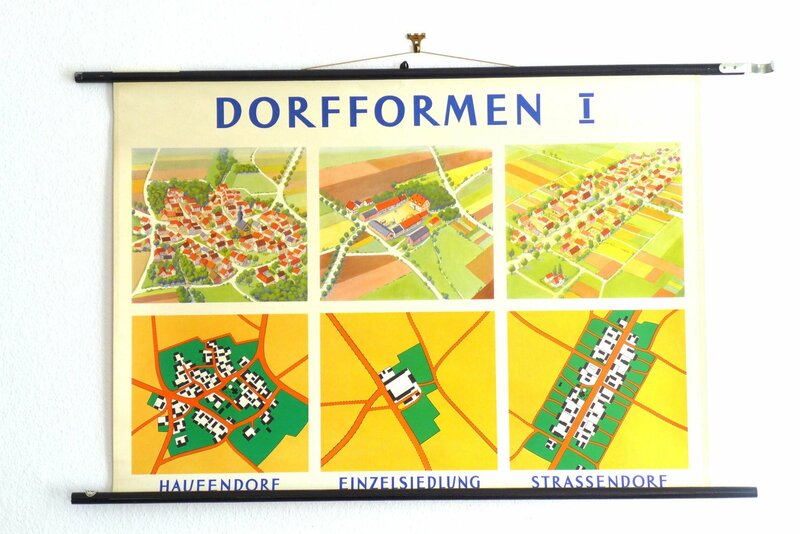 Another common layout is referred to as an Angerdorf—from the Old High German word for a grassy commons (Am Anger is a common street name even if the place has been built over), usually containing a stream or pond.